The Harm in Skipping an Oil Change for Negaunee Drivers - LeMoine's Automotive & Motorsports Inc.
People in Negaunee have been hearing a lot about higher oil change intervals these days. Maybe you're wondering: What are the key issues? 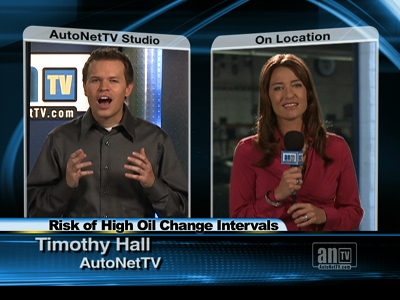 Some new vehicle manufacturers are now recommending much higher oil change intervals than they have in the past. As much as 5,000 to 8,000 miles (8,000 km to 13,000 km) or more. This practice came under scrutiny when four of the largest new vehicle manufacturers announced that owners like those in Negaunee were experiencing engine damage resulting from these higher oil change intervals. The manufacturers' standard oil drain service for particular vehicles was scheduled at around 7,500 miles/12,000 km. People following these recommendations were experiencing engine damage. It turns out that oil sludge was building up. This caused small oil passages to clog and engine parts to fail. Severe driving around Negaunee includes short trips under four miles (six and a half km) or trips under 10 miles/16 km in freezing conditions. The engine just doesn't get warm enough for the water in the oil to evaporate. The severe service schedule has much shorter oil change intervals. People in Negaunee just need to honestly evaluate how they drive to determine if they should change their oil closer to the severe service schedule or to the standard schedule. Some types of vehicle will give oil change reminders. But it's important to know how that reminder is determined. For some, the reminder simply comes when the standard mileage interval has rolled around. Others use a computer algorithm that takes into consideration the number of cold starts, trip length, engine temperature and so on. It's programmed to approximate where on the standard/severe service spectrum you fall. Some more expensive vehicles actually have sensors that test the cleanliness and effectiveness of the oil. For the rest of us, better safe than sorry should be the guiding principle. Talk with your Negaunee service advisor at LeMoine's Automotive & Motorsports and work it out together. Find out what kind of oil the factory sends out in your vehicle. Sometimes it's a premium grade that costs more than standard oil – but it may be what's needed to meet a higher factory recommended interval.